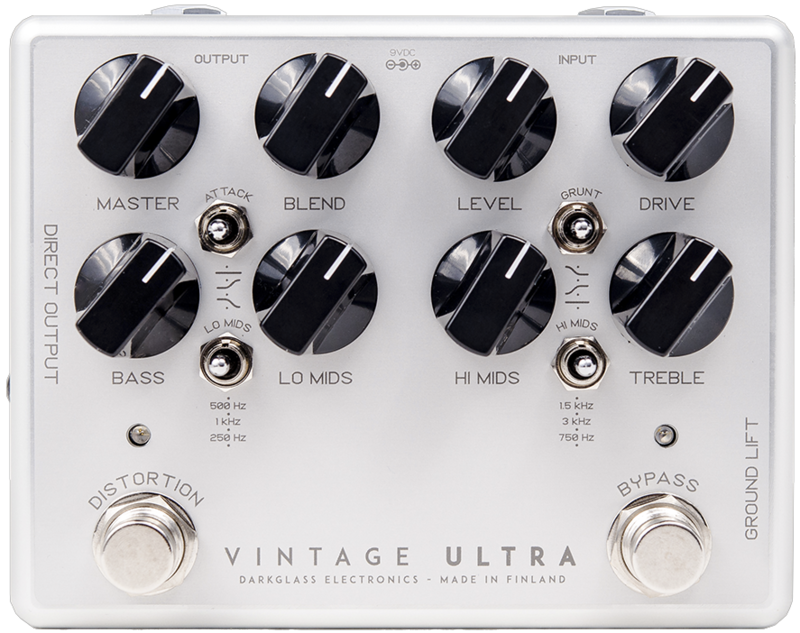 The Vintage Ultra is laid out exactly like the B7K Ultra, and if you check the specs on the Darkglass website, they seem almost identical from a feature and control perspective. In total there are eight knobs, four 3-way toggle switches, two footswitches and two LEDs to play around with. On the back you will find input and output jack connectors plus the power supply input. On the left side, there is a DI Out on an XLR connector and on the right side a push knob allows you to activate the GROUND LIFT function. 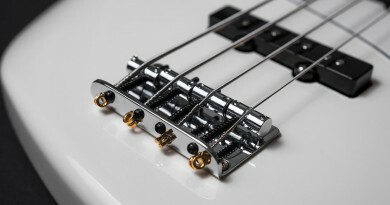 The four lower knobs make up the EQ part of the pedal: BASS (100 Hz center frequency), LO MIDS, HI MIDS and TREBLE (5 kHz). For each of the mid bands, you also get a toggle switch for choosing between 3 target frequencies. LO MIDS choices: 250 Hz / 500 Hz / 1 kHz, and for the HI MIDS: 750 Hz / 1.5 kHz / 3 kHz. All EQ bands can be boosted or cut by 12 dB. The top knobs mainly control the overdrive section. First of all, of course, the DRIVE knob that sets the amount of dirt you want to apply, supported by the LEVEL and BLEND knobs. Finally, a MASTER knob lets you set the overall output level, perfect for dialing in unity gain. The two other toggle switches belong to the drive section. The ATTACK switch deals with the high frequencies of the drive signal. Setting are either FLAT, BOOST or CUT. And the GRUNT switch handles the bass side of your overdrive tone in much the same way. 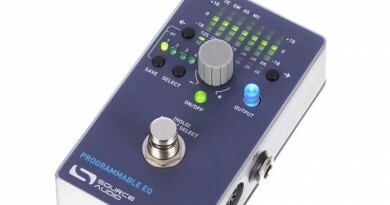 The two foot switches, BYPASS and DISTORTION, work independently, but logically the BYPASS footswitch takes out both the clean preamp / EQ as well as the drive circuit, whereas the DISTORTION foot switch can add drive to whatever fundamental tone you have created with the EQ side of the pedal. I used the same basic sound clip for the clean preamp as I did on the B7K Ultra review, and I did in fact go through each and every one of the methodic settings. 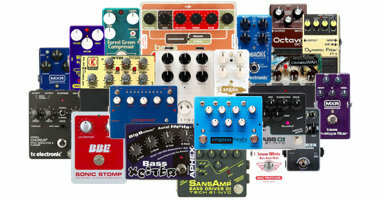 Only to find when I A/B tested, the conclusion was clear – the preamp section on both pedals is indeed identical. There was no difference to detect whatsoever. 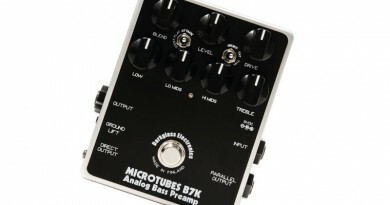 In the first round, you can hear the BASS knob at similar settings for both pedals, and from then on, simply jump to the B7K sound clips if you want to hear how each of the knobs/toggle-switches sound on this pedal. The second round is a little different. The sound example is a solo bass part played with a pick, and might sound more like a guitar part. I am not sure if that is something you’d do very often on bass, but I think it does give you an idea of the fundamental character of the drive, and not least how well it handles a polyphonic context. As with the B7 Ultra, the second foot switch also adds massively to the versatility. 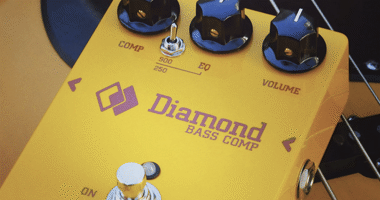 Plus, having both a dedicated LEVEL knob for the drive section and a master volume on the output allows you to really control the level between the two sides of the pedal as well as in combination with your other pedals. In brief, the versatility parameter is close to hitting the roof. “Qualitywise, the Ultra seems to be right up there along with the other Darkglass pedals. No further marks, everything seems to be solid and ready to take a beating on the road for ages. Of course, this pedal is brand new and I haven’t been able to long-term road test it, but based on previous experience with this pedal brand, I have no reason to doubt that there will be no issues with this one in the years to come. Overall, the design is good. 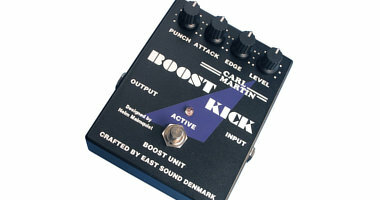 The footprint is similar to the B7K, Vintage Deluxe and Super Symmetry Compressor pedals. Only, the design is ‘landscape’ and it’s a little taller. The I/O design is perfect to my taste as I like the connectors to be separated as much as possible to prevent cable clutter. Today (2016), the Vintage Ultra retails at $389 – just like the B7K Ultra. Since I do prefer the tone of this one just a tiny bit more, I guess that to me, the value for money is also just a hair above in comparison. And of course there is still great value for money here. Great tone rarely comes for free. 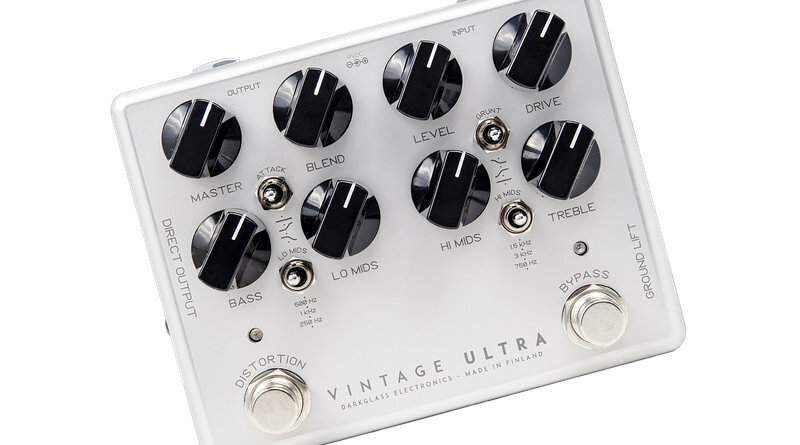 Overall, the Vintage Ultra is a great pedal. The only small issue is the ‘hidden’ toggle switches, but ultimately I would definitely recommend this pedal to anyone on the lookout for a great-sounding and highly versatile overdrive and/or preamp pedal. It is great for both purposes and in combination it is quite a lethal combination.